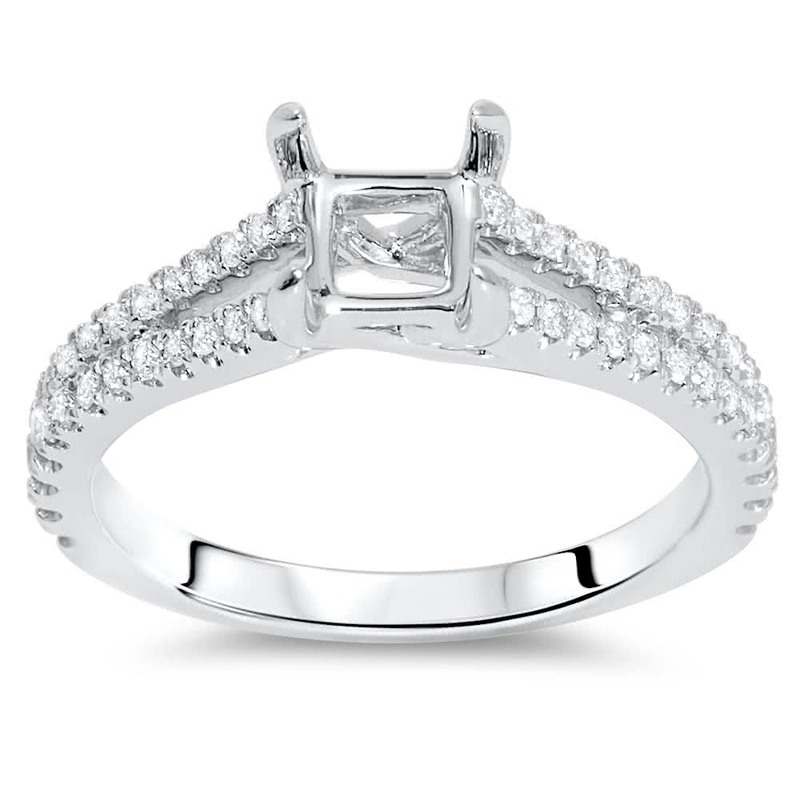 18k white gold cathedral engagement ring has 7 side stones on each side of the center diamond. 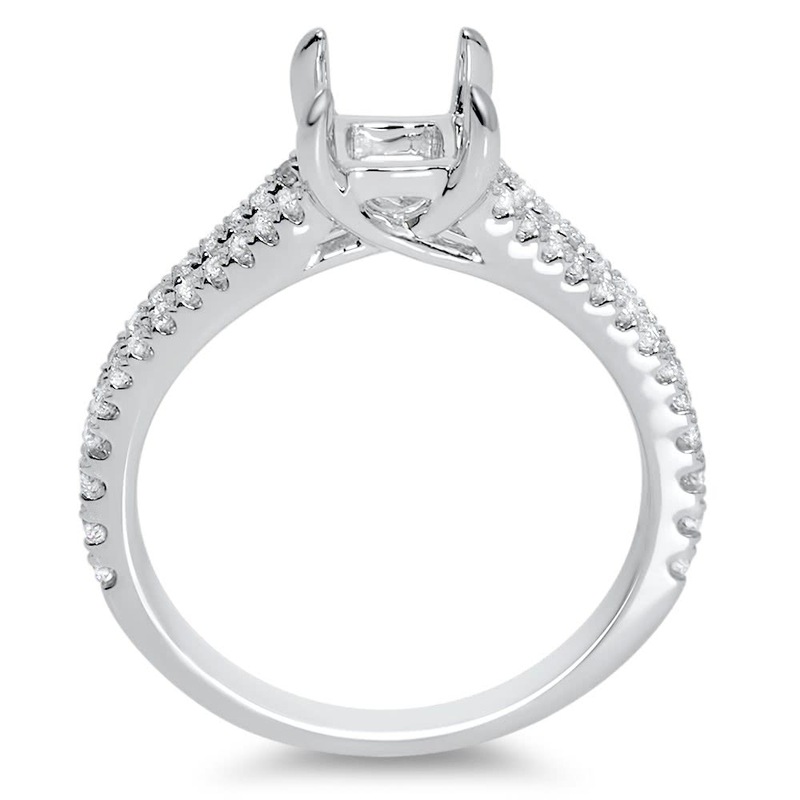 The head for the center stone is adorned with micro pave set diamonds and milgrain. 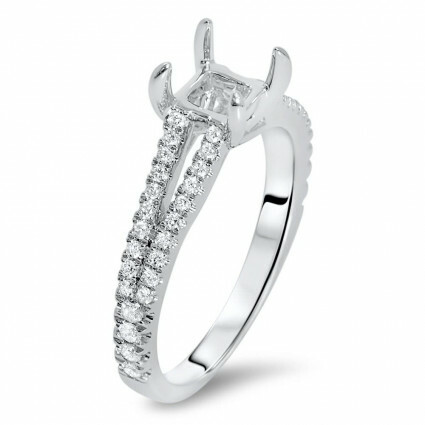 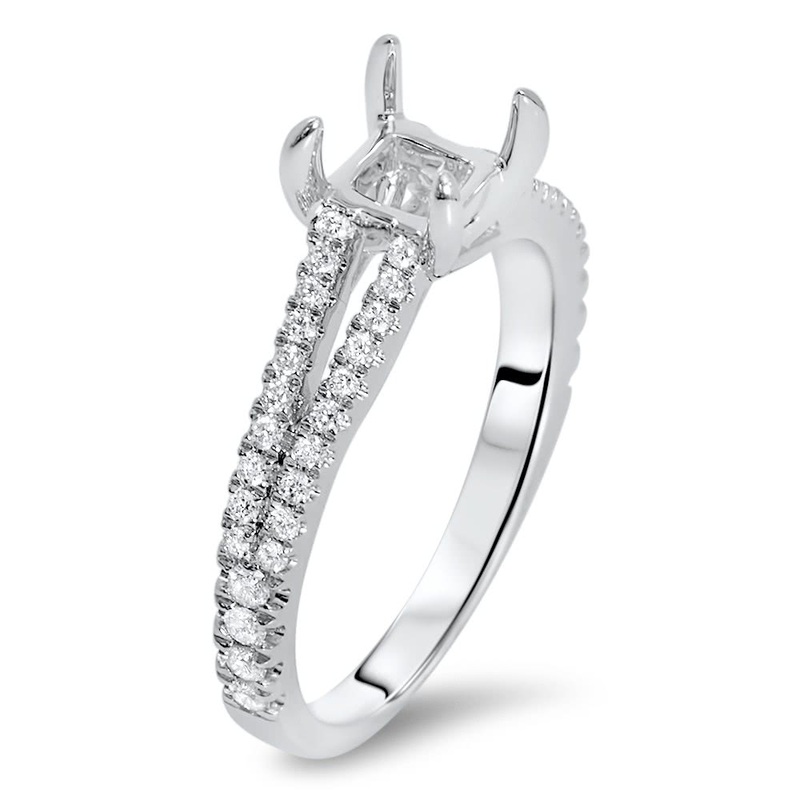 The ring will hold round or cushion shape diamond.